Hand-held (3kg lens!) using an Olympus OM-D E-M1 Mark II with an Olympus ZD 300mm f/2.8 (600mm FF equivalent) while enjoying a breakfast coffee on the patio! I like that ! 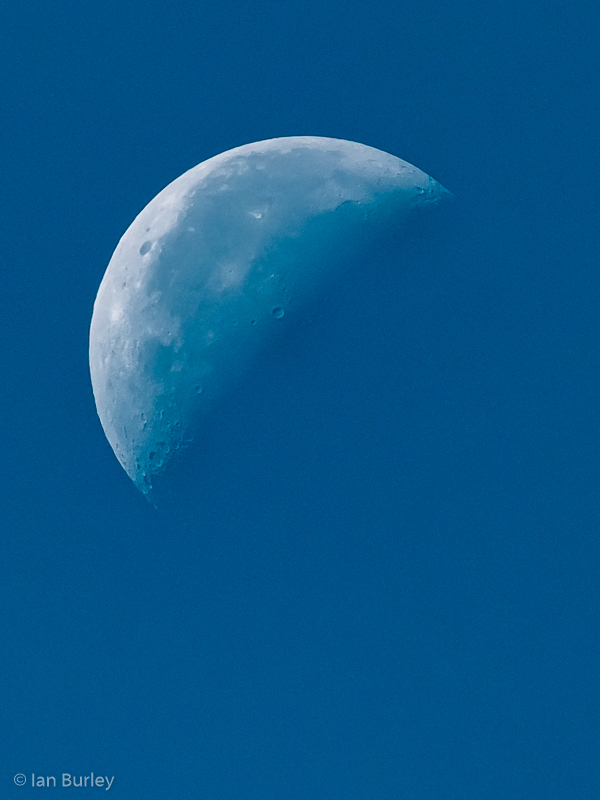 I do take day time shots of the moon, now and then.